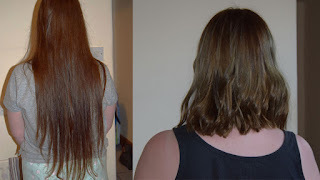 I made a post earlier this week about my plans to donate hair to the Little Princess Trust, and today I'm sharing my before and afters from the haircut! If you would like to donate to my JustGiving page set up to support the charity in buying wigs for poorly children, click HERE. To learn more about the Little Princess Trust, click HERE.